I am guilty.. dryer sheets used to be a staple in my house. I used them to make the laundry smell good and to keep static cling down. When I had my twins I started reviewing all of the products I had in my house. I wanted them to grow up in a chemical free environment and that meant eliminating cleaning products and body care products that had questionable ingredients. I hear the argument that having a product with a questionable ingredient isn’t that big of a deal and yes that might be true… BUT if you look at all the products you use daily combined you are putting a lot more chemicals and synthetics on your body than you might think. Our skin is our largest organ and can absorb chemicals very easily. 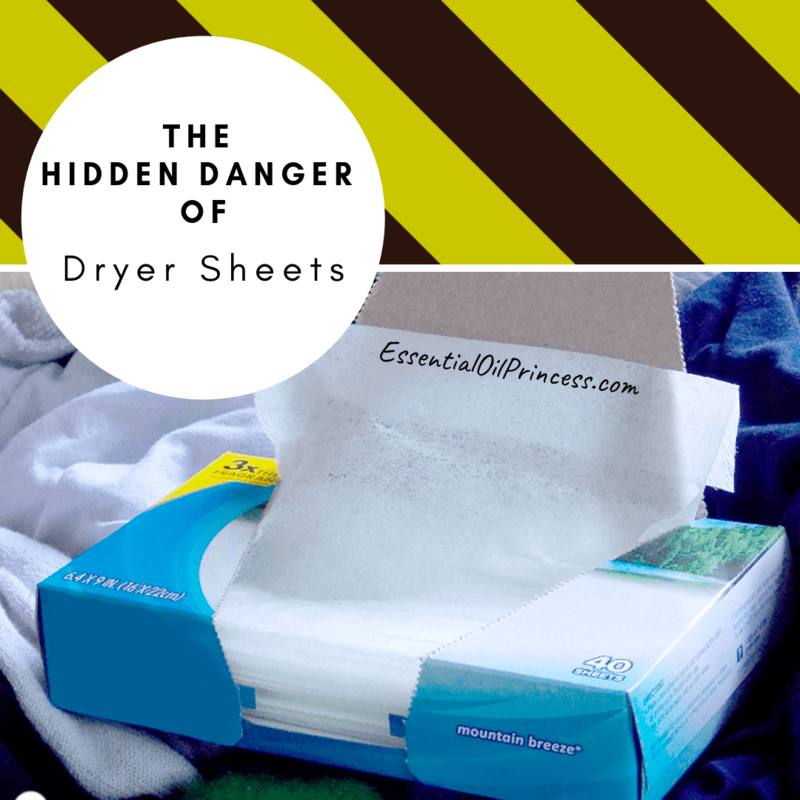 Dryer sheets and fabric softener are particularly dangerous because these chemicals get on our clothes and stay close to our skin for long periods of time allowing our skin to absorb the chemicals. This is harmful for babies because their skin is very sensitive and it absorbs these chemicals much easier. Some of the most harmful ingredients in dryer sheets and liquid fabric softener alike include benzyl acetate (linked to pancreatic cancer), benzyl alcohol (an upper respiratory tract irritant), ethanol (linked to central nervous system disorders), and chloroform (a neurotoxin and carcinogen), among others. Here are a couple website links for you to do your own research. What can you use instead of dryer sheets or laundry softener? Use dryer balls – 6-8 at a time. They will help reduce the drying time of clothes as well. Pour the vinegar into a large bowl. Add your essential oil, if using. I chose to use lavender since that seemed like a nice smelling fabric scent to me. Add your baking soda. When fizz has settled, pour into storage container of choice. Use up to 1 cup (depending on load size) per load. I poured mine right into the regular fabric softener location. Note: Prior to adding the baking soda, the oil sat on top of the vinegar. After pouring in the baking soda and letting it dissolve, the oil no longer sat at the top. ** We use baby washcloths with vinegar and essential oils. I just throw an extra washcloth in the dryer. ** Add a Safety pin to each of the dryer balls. Metal hits the metal in the dryer and discharges the static. ** When I started drying for less time my static problem went away! Over drying clothes causes static. ** Add a drop of doTERRA conditioner to the wool dryer ball. Maybe once a month during the winter. Just about a pea sized amount on each one. After using the dryer balls for awhile the natural oils from the wool get depleted. This works amazingly well to replenish that moisture! !